Tafwakose Jenda is a third year journalism student at the University of Malawi and is passionate about women’s empowerment. She was inspired by prevalent gender issues in her country to pursue a journalism degree and is a firm believer in the power of the media as a tool for change in society. 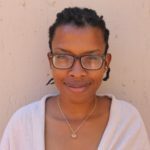 Upon completion of her studies, she hopes to use her acquired expertise to actively contribute towards gender equality on the African continent and beyond.